Your fun time creates lifesaving care for pets in need! 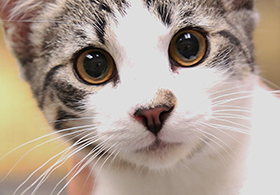 Join pet lovers from across the state at Connecticut Humane Society events that support medical treatment and more for animals who need a hand. Looking for an event that can help your pet with veterinary care? That’s here, too. JoyRide Cycling supports CHS! Your ride will leave tails wagging! Support the Connecticut Humane Society and cuddle a pet before or after class. You’ll be giving Fairfield County pets in need a chance to receive essential veterinary care and a fresh start in a new, loving home. Minimum donation $40 cash or check the day of the event. This 50 minute class will be led by David Reyes! Visit this link to reserve your bike.